Square is the household name when it comes to mobile/smart phone credit card processing. There are countless providers that offer the same capabilities that Square does and you may be wondering if Square is right for you. Currently Square does not allow other companies to resell their product so you can only buy directly through their website. Since I offer a product that competes with Square, you might think that I am here to discourage you from using Square, but that is not the case. IF the circumstances are right I actually recommend Square. 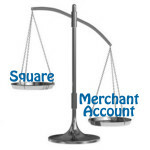 Does your business fit the requirements of processing with Square or should you get a merchant account? Let’s take a look at the fees and considerations for determining whether you should use Square, or whether you should consider a merchant account option. Please note that Square will charge 3.50% plus $.30 transaction fee for all transactions where the card is NOT swiped through the card reader. This rate is not widely advertised and can greatly change the overall cost that you are paying if you have transactions that qualify for this rate. The average swiped rate for merchant accounts is around 1.75%. If you compare the two sample transactions from above, you can see that the merchant account fee is $2.00 while the Square fee is $3.05 which yields a savings of $1.05 for the $100 transaction in favor of the merchant account option. Any single swiped rate transaction that is compared will result in the merchant account costing less than the Square in both the Swiped and Non-Swiped transaction categories. So how many of those ($100) transactions would your business potentially do each month in order to offset the fixed monthly fees that every merchant account will have. Remember that Square doesn’t have fixed monthly costs or minimums. Based on my research, it will take approximately 25 $100 transaction per month in order to make a merchant account option more valuable than the Square option simply because there are varying fixed cost among merchant account providers. In other words, you need to do 25 transactions per month OR MORE, (at a savings of $1 per transaction) in order for it to be more favorable to use a merchant account option instead of Square, simply because of the fixed monthly fees that you are required to pay. So when is Square better? Your business must qualify based on the three considerations I listed above. If you can answer yes to all three of these, it’s best to go with Square until your business changes to the point where at least ONE of these variable changes. 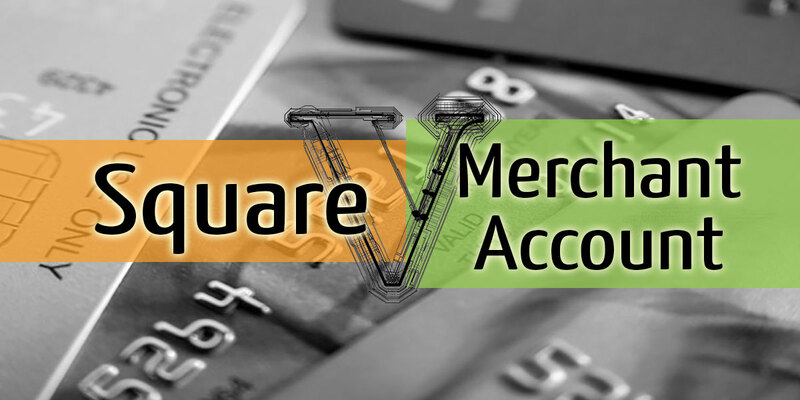 Square offers a lot of flexibility for the small, seasonal business and is a great starter merchant account option. It’s also a great solution for a hobby business that doesn’t require a frequent payment processing solution. Pay attention to the considerations mentioned in this article and once you exceed the limits of usage and volume, it’s time you graduate to a full blown merchant account.